I often hear how hard people are working – how much they are trying. Sometimes, I think it is easy to confuse activity with action. Don’t get me wrong – a high work ethic is essential. It shows character. It should be admired and celebrated and encouraged. But there is a difference between being busy and being effective – regardless of your work ethic. The Greek philosopher, Aristotle, believed that there are three basic activities of man – theoria, poiesis and praxis. Theoria – theoretical – were activities with the end goal of “truth”. These are knowledge seeking activities – learning. Poiesis – were activities that had the end goal of production. Praxis – practical – were activities where the end goal was action. It’s easy to confuse poiesis with praxis. 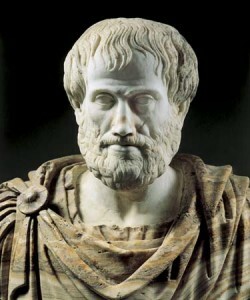 Aristotle believed that some activities were good for their own sake. This is praxis. Poiesis refers to activities that are a means to an end or goal. Generally speaking, in business, we rarely have the opportunity to perform praxis activities. Yet this seems to be happening – far too often. We love the routine of work. The activities become more like a ritual for us. They are comforting. They become “good for their own sake”. Sometimes, they become busy work. But usually we have customers and customers are not paying for services that are purely for the benefit of the service providers – they are paying for some end result or goal. They want poiesis activities. It helps to to stop and ask yourself “why” from time to time – or all the time. Why are you doing what you are doing? What is the purpose? What are you trying to achieve? Albert Einstein is famous for saying – “Insanity is doing the same thing, over and over again, but expecting different results”. Perhaps we should expand that to say “doing the same thing, over and over again, and getting no results”. Of course, it’s important to create a plan for your day, your week, or your project and then execute that plan – but don’t do so blindly. If you step back and reconsider the reason’s why you are performing a set of tasks, perhaps you might create a new way to get there – a route that is more effective. How effective are you? Once you have thought about the “why” – the purpose – you need to also consider the result. What is the optimal outcome from the work you are performing? This is poiesis activity after all. Start defining how you will measure success. What is the “optimal” or “desired” outcome from your activity or activities? Then monitor your progress towards this goal / these goals. Measuring your performance against a defined outcome will help ensure that you are keeping the end goal in mind. As you track your progress, don’t be afraid to deviate from your plan; and refer back to your mission, your “why”, from time to time to keep yourself centered. But mainly – don’t get stuck in the praxis trap. I salute your work ethic, but we all need a little more poiesis! E’khe!! I found this to be an effective breakdown on the differences between poiesis and praxis; Exactly what I was looking for, thank you.